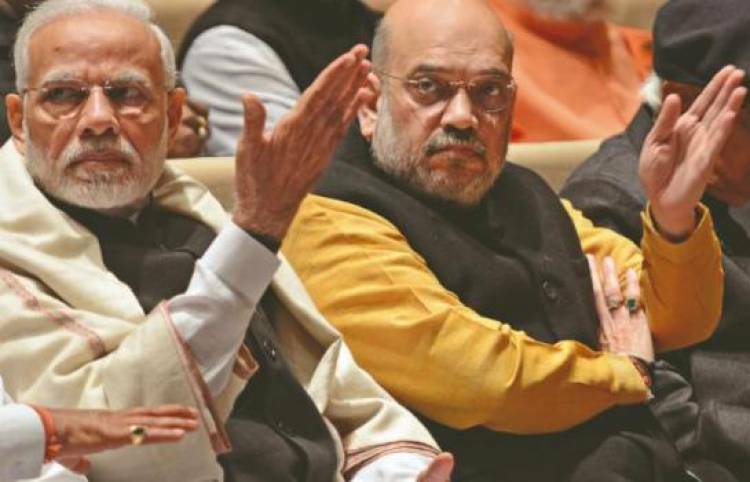 HYDERABAD: BJP President Amit Shah on Tuesday claimed that people have decided to make Narendra Modi the Prime Minister again. Addressing an election meeting on the last day of the Lok Sabha election campaign here, he said during the last five years the Modi government enhanced the country's stature and its biggest achievement was making the country safe and secure. "There are two camps. One camp is of patriots of BJP led by Narendra Modi and NDA allies and the other camp is led by Rahul Baba and gathbandhan," he said. The BJP leader also referred to efforts being made by Telangana Chief Minister K. Chandrashekhar Rao to form a Federal Front. "You tell me can KCR in any way become the Prime Minister?" he asked the people. Shah said the Telangana Rashtra Samithi (TRS), like the Congress, was a party of family rule and claimed that only the BJP can work for the country's development and make it strong. He claimed that the BJP-led NDA government provided Rs 2.45 lakh crore to Telangana in five years against Rs 16,500 crore given during 10 years of UPA rule. Shah said the manifesto released by BJP was nothing but a document to make India a superpower. "Can the tukda tukda gang give a stable and strong government? Only BJP can do it." He said the entire country was happy when India launched air strikes on Pakistan to destroy the terror camp but there was gloom in Pakistan and in the camp of "Rahul Baba and company".